Professional Tile and Grout Cleaning – Orange County – Huntington Beach, Fountain Valley and surrounding areas. Tile and grout cleaning is very difficult, it can also be very messy. Our professional Orange County tile and grout cleaning services achieve better results by using state-of-the-art equipment and proper solutions. Grout is made of porous materials that collects dust, and dirt when you spill something on the floors. The average homeowner can mop and clean all day long without achieving 5% of what a professional tile & grout cleaning service can do. We are family owned, and operated. We take pride in not only servicing your home once, but for many years to come. Our experience, combined with advanced equipment, techniques and solutions allow us to clean your tile and grout quickly and affordably. Our High-pressure water and vacuum steam cleaning process will leave your floors and grout shiny and clean without the hassle or the mess. Once the floors are clean, we will give you the option to add a sealant which will give your tile and grout longevity and protect it from accidents and spills. ECC Carpet Cleaning specializes in carpet cleaning, upholstery cleaning and homeowners also rely on us as the best tile and grout cleaner in Orange County. 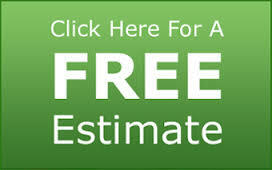 We serve Huntington Beach, Fountain Valley, Costa Mesa and all surrounding areas. If you’re looking for an Orange County tile and grout cleaner, we ask you to give us a call for a free estimate, we’d love to earn your business for many years to come.